I found this to be spot on. It has isn’t easy to manage a team – weather a professional sports team or your work team. I think one of the hardest parts is to embrace failure. In events, failure isn’t really an option – but, small failures or mistakes do happen. It has been difficult to let go and allow my staff to fail, and then usually claim responsibility for those failures as my own. I’ve had to call deans to apologize for errors made in invitations created by my staff – why? Because ultimately, as the project manager, all failures are mine. I really liked this post. I really liked this post, a very interesting comparison. I could not agree more with the “embrace failure” aspect. This was one of the most difficult things to learn when I was a new project manager. It is your natural reaction to jump in and fix a problem if you have the ability to fix it, instead of letting a coworker fail. However, time and time again I found that allowing people to fail on smaller tasks/projects was hugely important to their overall learning and development. Your post brought to mind a few of the PMP-certified project managers I’ve had the pleasure of working with in the last year or so. Above all, the key to meeting our deadlines and deliverables was the second point – to delegate step by step. Project managers are essential in keeping the overarching goal in mind when team members may become mired by details. In the meetings I attended, project managers kept conversation on topic and stopped it from going too far astray, saving everyone time and allowing additional topics to be covered. The project managers did not need to be familiar with the intricate details of the project, but should be knowledgeable enough to know when attention needs to be paid to different parts of the project. Being able to identify and meet the critical tasks flattened some very large speed bumps and the projects met their SLAs/deliverables. A very interesting post Emilie. I enjoyed the analogy, but much more appreciated the analysis. You captured the team aspect of a project well and identified the characteristics needed for the team to be successful. Having been envovled in organized sports as well as team projects, I concur with the importance of the coaches’ responsibilities. An effective project manager should be able to state a clear mission, build and mainitain cohesiveness, motivate, and regulate. The project manager needs to also be assertive and fair. In situations of a new project and/or a new manager, I find it equally as important for the team to be responsive, supportive, and compliant in respect to the integrity of the project. Very nice post! I have to say that I’ve seen several different project management styles from PMs. I have found that the most effective PMs know how to ask the right questions from team members, communicate effectively, provide options, from options well, and raise issues to the team in a “timely” manner (before it all hits the fan). As a matter of fact, the best PM in our software PM team is a mechanical engineer by training. However, he knows how to bring the right people together and foster the conversation towards a successful solution. I think that the soft skills, like communicating, facilitating, managing, mentoring, and even selling are all very important in the PM role. There was some very good pieces of advice in this post. 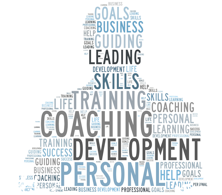 I personally believe that coaching should be a necessary skill of a good project manager. Not everyone person that is involved with a project is an expert, meaning that some need more help than others. I think a good project manager is able to tell when to let members of their team work more autonomously and when some others need more coaching/mentoring. When a project manager actively engages the members of his/her team, then it is more likely that the team will be more effective and successful. 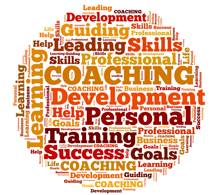 The top two qualities that my best coach has had were stated in your post: Supportive and Engerize. In a slightly different contest, but on the same lines. My coach for water polo, Ray Reyes, was supportive in my school work and in my sport. Always trying to help me reach a balance and he focused the team on being in the game, focused on the energy and involvement requried to win and play our best. Whether in a project, or on the field, the project manager has to keep their team focused on the end result and to me that means been supportive of the players and keeping in alive in the game. Working in an environment surrounded by Project Managers, I can definitely see some good and bad PM qualities all day. As you mentioned in your post that a PM and a good coach should be able to adapt to new developments and situations. I have often seen that become a major point of struggle for a lot of individuals that have been in this business for a long time. The curve ball in our case could come in with the client changing its’ mind on how they want the event to look, or client reducing the budget forcing us to change our game plan or our company finding out at the last minute that the equipment required for the event is not available, causing the PM to again change plans. I have seen some individuals adapt well to the situation and handle it calmly and others running to our GM to complain, only to be told to do whatever is needed to make the client happy. As the head of finance in our office, PM will often come discuss situations with me as well to get an idea from a budget perspective on how much things can be altered and sometimes I can sense the frustration in them. Although at times, my answer only frustrates them more. Since their commissions are based on the profitability of each project, keeping within the budget is a major concern for them. Another major challenge that I see is Project Managers working cohesively in a team on a large project. For a large event such as a Superbowl halftime event or Olympic opening ceremonies event, our company will typically assign 8-10 project managers for the event. These PM’s who often work smaller events alone and are used to handling things their way finding it very challenging when they’re put in an environment where they have to now work with others, which includes a lot of compromises. No one has ever said management or project management is easy. The best project manager I’ve ever worked with wore a variety of hats and was able to take on a variety of personalities and really understand the people that were working for them. She was able to understand that each person on the project had different needs and different goals and really motivated everyone in different ways. For me personally she knew I performed better being left alone to do what I do, whereas some other employees want a more hands on manager and she was there to answer questions and give suggestions. One additional thing I wanted to comment on is in your post you had embracing failure as a key to a project team, or any team for that matter. I can’t tell you how many people I see at my current job that beat themselves up day after day when something goes wrong. It is incredibly important to understand sometimes it just isn’t going to work out, also that you can learn from the failure, how to be proactive and prevent future failures in similar situations.